Why do people collect? What drives someone’s passion? Collectors are a fascinating species, perpetually both hunting-and-gathering and then showcasing their accumulated treasures. 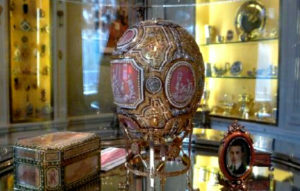 Left: Catherine the Great, 1914, Fabergé Easter Egg. Businesswoman and philanthropist Marjorie Merriwether Post is a prime example of a highly-dedicated collector. When her father C.W. Post, founder of the Postum Cereal Company, died in 1914, Marjorie became one of the wealthiest women in the world. She lived in New York City and began collecting to furnish her vast Fifth Avenue apartment, focusing on fine and decorative arts. She was an early patron of Cartier when he opened his business in Manhattan, and she became interested in Russian Imperial art when she began meeting emigres fleeing Russia after the 1917 revolution. According to Malcolm Forbes, Mrs. Post “pioneered Faberge collecting” (Malcolm Forbes, 7/30/1973, quoted in Fabergé Rediscovered catalogue, p. 163). When Mrs. Post moved to Hillwood in Washington, D.C., in 1955, she envisioned the mansion as a perfect repository for her vast collections of French eighteenth century decorative and Russian Imperial art. Her intention was “to share this (Hillwood) with the rest of the world,” and she endowed it to the public following her death in 1973 (Quote from Hillwood website). 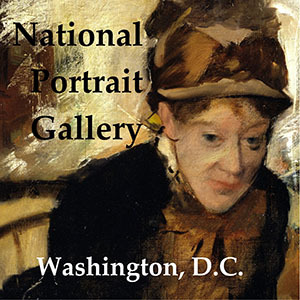 Right: Frank O. Salisbury, Portrait of Marjorie Merriweather Post (1934), who, over her lifetime, amassed a collection of Russian Imperial art. 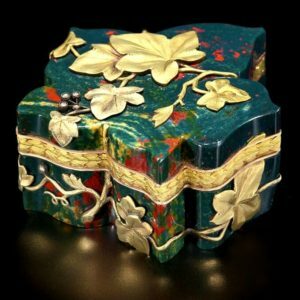 This summer, Hillwood has opened a stunning new exhibition that focuses on how and why Mrs. Post became intrigued with collecting Russian Imperial art, including famous Easter eggs, decorative and bejeweled boxes, seals, picture frames, and such everyday luxury items as watch fobs and cigarette cases. Fabergè Rediscovered features over 100 artifacts drawn from Mrs. Post’s Hillwood collection as well as important loans from other museums and private collections, including the Metropolitan Museum of Art, the Musee d’Orsay, and His Serene Highness Prince Albert of Monaco. 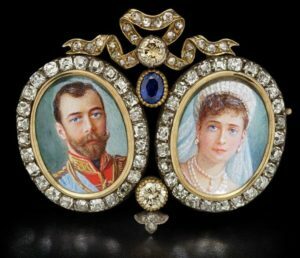 Left: Brooch with Miniatures of Nicholas II and Alexandra. Photo: Alex Braun. Fabergé Rediscovered is a meticulously researched exhibit organized by Hillwood’s chief curator Wilfried Zeisler. Hillwood Executive Director Kate Markert explains in the exhibition catalogue “Foreword” that the last major Hillwood exhibit on Mrs. Post’s Fabergé collection was in 1996, and so much more information has since become available that a new exhibition was justified. Below: In 1955, the heiress purchased the 25-acre property known as Arbremont (renamed Hillwood, after the palatial Long Island estate she had shared with former husband E.F. Hutton) with the express intent of utilizing the neo-Georgian mansion as both a home and a gracious milieu in which to showcase her vast collections. Photo: Kate Headley. In the years following the Russian Revolution, the Soviets sold off extravagant Fabergé luxury items to finance their new regimes. 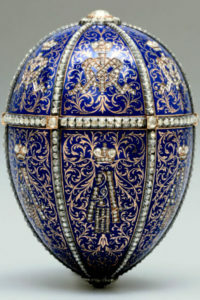 Western agents and dealers—including businessman Armand Hammer—amassed vast collections of Fabergé. Mrs. Post started to buy Fabergé objects in 1927-31 when they began appearing on the Western market; she became an even more serious collector when her second husband, Joseph E. Davies, was appointed U.S. ambassador to the Soviet Union in 1937-38. Right: Icon of the Elevation of the True Cross. Photo:Alex Braun. She purchased few Fabergé items while she was there, but her passion was fueled for the rest of her life for Fabergé’s works in porcelain, silver, enamel, as well as for Russian Orthodox liturgical objects. Curator Zeisler has combed Post’s archives at Hillwood and other sites to more thoroughly document her collection, giving new attributions and provenances to the objects housed at Hillwood. The major contribution of both the exhibition and the catalogue is to place Faberge within the context of nineteenth-and twentieth-century jewelry making and goldsmithing, and to describe Faberge’s artistic impact over time. Left: Leaf-shaped Box. Fabergé (1899-1908). Photo: Alex Braun. 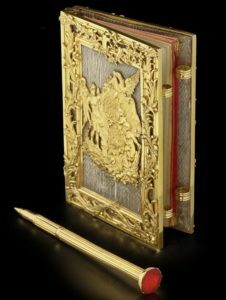 Both exhibit and catalogue are organized to explain this context, beginning with a section on the creation of the Faberge business in the nineteenth century, then moving on to describe the workshops and the intricate art of Fabergé’s master craftsmen and the larger story of how Fabergé built his legend. The exhibit notably spotlights remarkable objects made for Imperial clients, including a boggling display of Imperial Easter eggs, along with extravagant everyday luxury items for wealthy clients. Both catalogue and exhibition conclude with a section on Marjorie Merriwether Post’s role in the Fabergé story. Right: Twelve Monograms Egg, St Petersburg. Photo: Alex Braun. 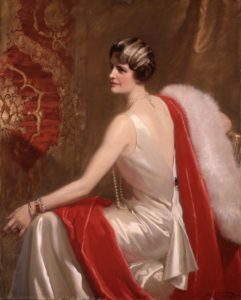 Although the exhibition’s focus on new scholarship makes an important contribution to Fabergé enthusiasts, the show pales in comparison to Hillwood’s 2017 exhibition Spectacular (see: http://www.artesmagazine.com/?p=21729), which spotlighted Mrs. Post’s jewelry and her favorite designers. 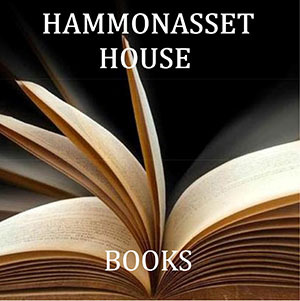 That show radiated a sheer delight in the objects that Mrs. Post happily collected; the curatorial labels were written with a lyrical scholarship that conveyed stories of wonder. 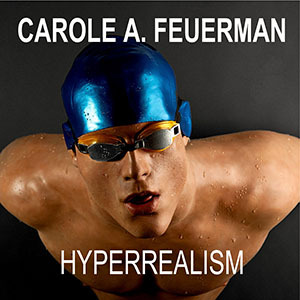 The extraordinary title wall for Spectacular stopped me in my tracks, prepping me for the brilliantly designed exhibition to come. It was one of the finest exhibitions I’ve ever seen. 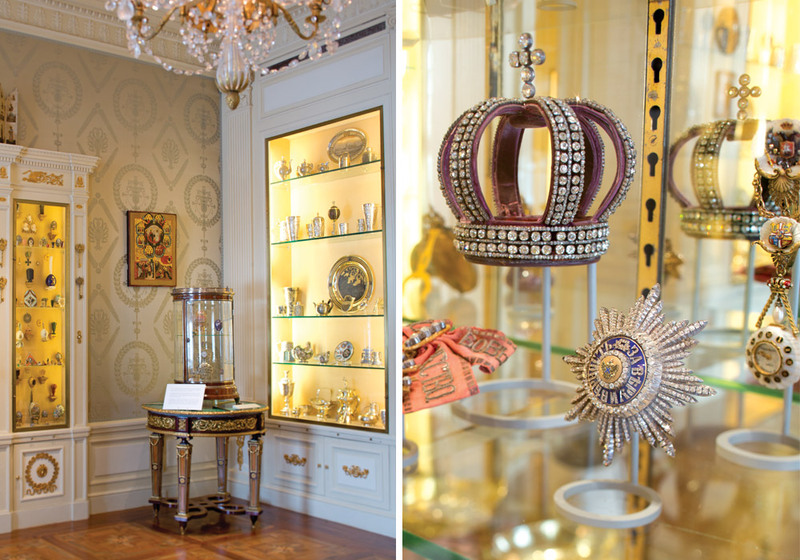 Left: Fabergé Rediscovered exhibit detail with Catherine the Great, 1914, Fabergé Easter Egg at the center. Fabergé Rediscovered is not focused so much on “wonder” as on presenting detailed new scholarship about many of the artifacts’ provenance; sheer delight has been replaced by a drier and more academic approach. The exhibition design is fine but not extraordinary—it does its job, and the lighting in particular is excellent. My biggest quibble is about why the curator chose to conclude the exhibition with a section on why Mrs. Post collected Fabergé: why not begin with this basic question? It was also a revelation to discover that she did not fill her trunks with Russian Imperial art when she accompanied her husband during his ambassadorship to the Soviet Union in the late 1930s: Really? Why not? Right: Notebook (Carnet) with Pencil, St. Petersburg. Photo: Alex Braun. The exhibition catalogue deserves particular notice. First, huzzahs! 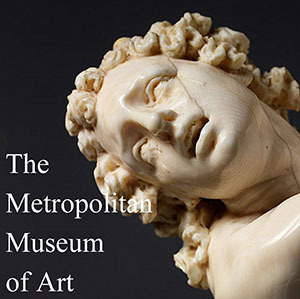 to Hillwood for insuring this exhibition’s lasting significance by publishing a scholarly catalogue. And second, special cheers to the fabulous photographs taken by Alex Braun and Bruce White: these images are almost as wonderful as having the real thing! Fabergé Rediscovered will be on view at Hillwood Museum through January 13. 2019. 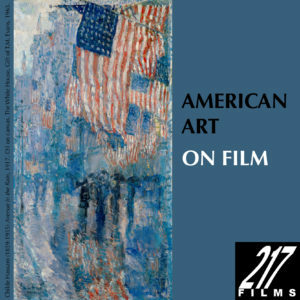 The catalogue, by Wilfried Zeisler, is available at HillwoodMuseum.org.